Happy Sunday everyone! Hope you’ve been having a great weekend. It’s of course our last day of our Weekend Specials and our exclusive Facebook Page deal. We’re here till 4pm serving up this terrific menu which includes our WEEKEND SPECIALS: the extended Strain of the Week -> AK47/Ao, Moby Hash Plant, Ocean Grown, and O God. We look forward to seeing you in store and hope you have a great pain free weekend! 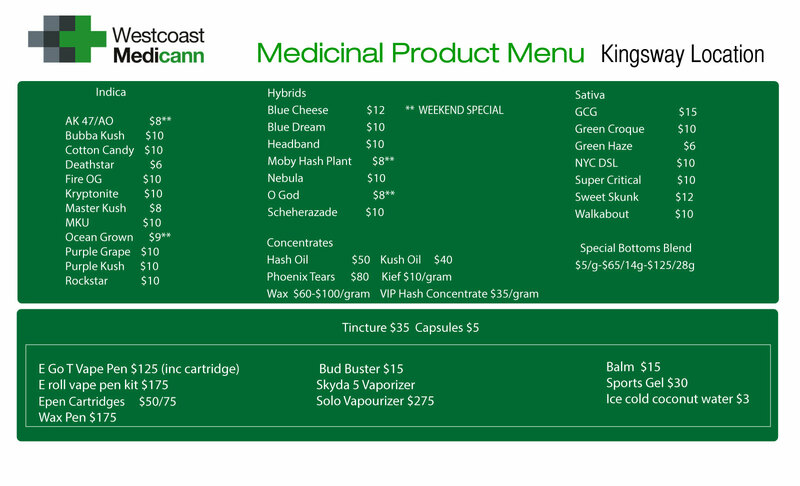 Join our Facebook Page (www.facebook.com/westcoastmedicannkingsway) to receive the promo code for our exclusive weekend special for our FB followers.